Lotus Legal Search LLC is a boutique legal search and placement firm. Our primary market is Dallas but we serve clients across the US. We assist attorney candidates seeking new legal positions and employers seeking new talent. As attorneys ourselves, we have a variety of legal experience, including in-house corporate positions and as associates at Am Law 100 and regional firms. We understand the legal business from the inside out. Our team has a variety of legal recruiting experience, including assisting clients with law firm placements, in-house placements, and firm mergers and acquisitions. As a boutique recruiting firm, we are nimble and ready to assist with a search immediately and tailor our services to your needs. We try to minimize the red tape and find a win:win for all parties. We strive to stay at the forefront of the legal and legal placement industry. 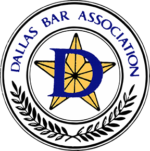 Our recruiters are members of the American Bar Association, Texas Bar Association, Dallas Bar Association and the National Association of Legal Search Consultants. We regularly engage in speaking engagements, CLE learning opportunities and attorney social engagements to stay at the forefront of the legal market and hiring trends. We would love to help you meet your legal hiring and employment needs.